Hello Everyone! 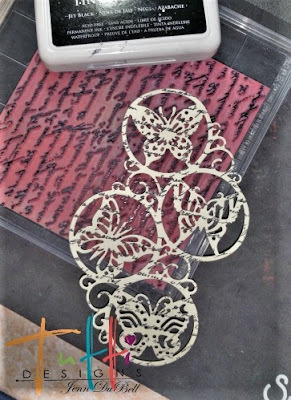 Jenn here for another Sunday share project using the amazing Tutti Designs Dies! This die is so detailed and versatile to use. I just love it! So How did I make my card? First, using white cardstock, I ran my die through machine and cut. Next, I wanted to add stamping, so I used a script stamp on the die cut and sprinkled with embossing powder and heat set. The embossing powder was clear on top of black archival ink stamping. This adds shine to the lettering. Next, the stamped die cut was placed on heavy black cardstock using adhesive and was then cut out. 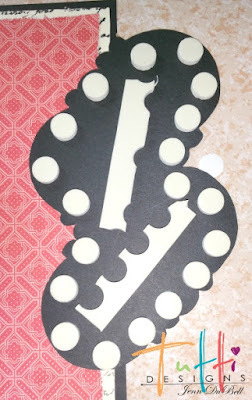 Next, I used the same white cardstock used for the die and cut out a piece to fit on card and then also cut a piece of patterned cardstock slightly smaller to go on top of that. These were both distressed all around edges with distressing tool. The white piece was stamped with the same stamp, ink, and embossing technique used for the butterflies. Next, the cardstock pieces were aligned and adhered to the card using scortape. 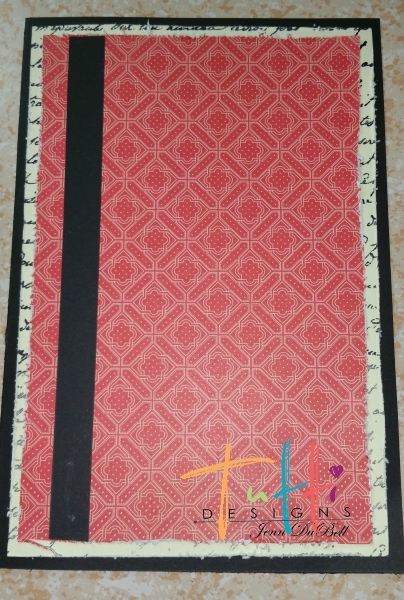 I also added a thin strip of black cardstock for a touch of detail. Next, I added foam dots and pieces to the back side of the butterflies and adhered to the front of my card. Finally, a metal Thanks plate and some black bling dots were added and there ya go! 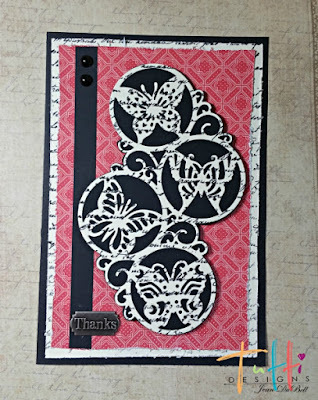 A Beautiful card to show someone your gratitude. Thanks so much for viewing! 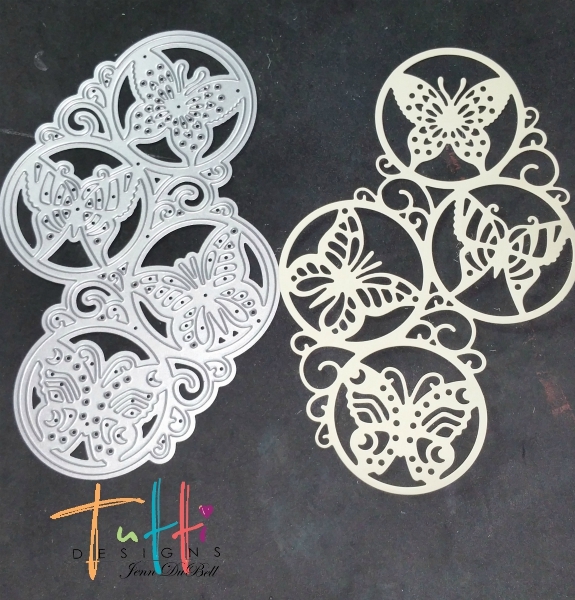 I will be back every Sunday with another creation using one or more of these beautiful Tutti Designs dies. These dies would make great stocking stuffers for all of the artists on your list! Jenn, this is soooo pretty! 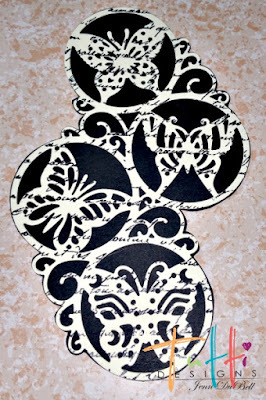 I love how you used this butterfly die cut. Beautiful design! Love your card Jenn. 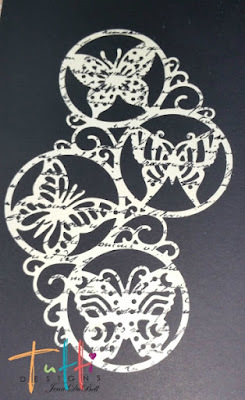 The stamping really makes the butterfly die cut very striking. 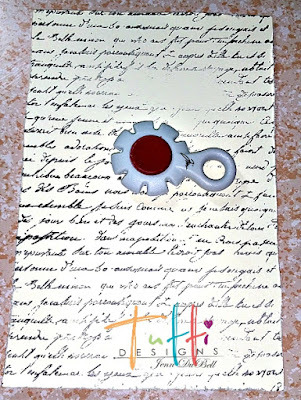 Sorry for the delay in commenting Jenn (been crazy around here) ... this card is fabulous! 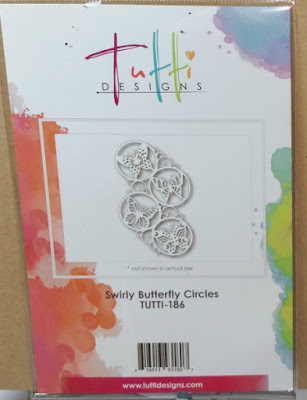 Great design using this die ... and, thanks for inspiration and fabulous tips!